Six months after California’s strict vaccine law took effect, a measles outbreak has infected 20 people, most of them in Los Angeles County, prompting a search for others who may have been exposed to the highly contagious virus. Most of the patients live in western areas of the county, including L.A.’s Westside, the Santa Monica Mountains and the San Fernando Valley. Santa Barbara and Ventura counties each reported one case. At least 15 of the 18 L.A. County patients either knew one another or had a clear social connection, said Dr. Jeffrey Gunzenhauser, interim health officer for the L.A. County Department of Public Health. None of the 18 could provide proof of vaccination, he said. Gunzenhauser said the first person was diagnosed in early December, followed by 16 cases in the last three weeks of 2016, and then one more case last week. Debbie Reynolds, the wholesome ingénue in 1950s films like “Singin’ in the Rain” and “Tammy and the Bachelor,” died Wednesday, a day after the death of her daughter, the actress Carrie Fisher. She was 84. Her death was confirmed by her son, Todd Fisher, according to her agent, Tom Markley of the Metropolitan Talent Agency. Ms. Reynolds was taken to a Los Angeles hospital on Wednesday afternoon. Mr. Fisher told the television station ABC 7 Los Angeles that she had suffered a stroke. According to TMZ, she had been discussing funeral plans for Ms. Fisher, who died on Tuesday after having a heart attack during a flight to Los Angeles last Friday. “She’s now with Carrie, and we’re all heartbroken,” Mr. Fisher said from Cedars-Sinai Medical Center, where Ms. Reynolds was taken by ambulance, The Associated Press said. He said the stress of his sister’s death “was too much” for his mother. On Tuesday, Ms. Reynolds had expressed gratitude to her daughter’s fans on Facebook. Ms. Reynolds’s career peak may have been her best-actress Academy Award nomination for playing the title role in “The Unsinkable Molly Brown” (1964), a rags-to-riches western musical based on a true story. Her best-remembered film is probably “Singin’ in the Rain” (1952), the classic MGM musical about 1920s moviemaking, in which she held her own with Gene Kelly and Donald O’Connor, although she was only 19 when the movie was shot and had never danced professionally before. Her fans may cherish her sentimental good-girl portrayals, like the title role in “Tammy and the Bachelor” (1957), in which she played a Louisiana moonshiner’s wide-eyed granddaughter who spouted folksy wisdom. Her greatest fame, however, may have come not from any movie role but from the Hollywood scandal involving her husband and a glamorous young widow. Carrie Fisher, beloved by legions of fans for nearly 40 years since she first walked the corridors of a "Star Wars" spacecraft as Princess Leia Organa, is being treated in an intensive care unit after a serious medical emergency on a flight, according to her brother. Todd Fisher told The Associated Press on Friday night that his sister was receiving excellent care, but said that he could not classify her condition. He had earlier told the AP that she had been stabilized and was out of the emergency room. In a subsequent interview he said many details about her condition or what caused the medical emergency are unknown, and much of what had been reported was speculation. "We have to wait and be patient," he said. "We have so little information ourselves." Carrie Fisher, 60, experienced medical trouble during a flight from London and was treated by paramedics immediately after the plane landed in Los Angeles, according to reports citing unnamed sources. 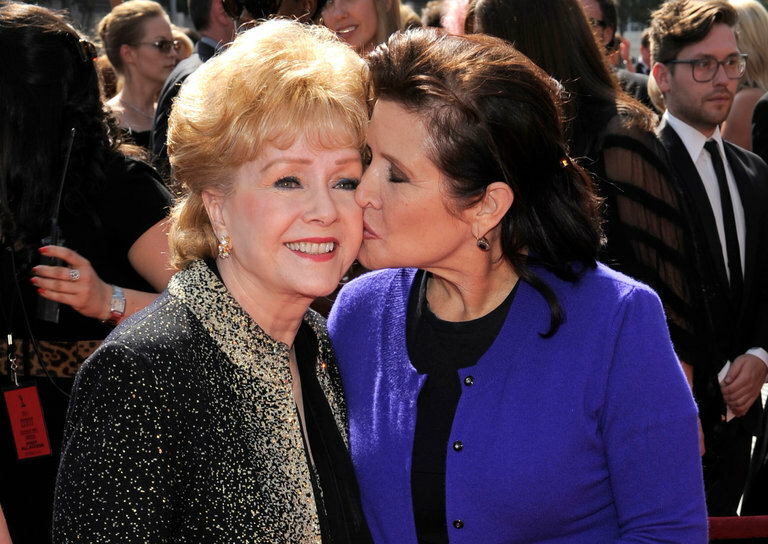 Fisher's publicists and representatives for her mother, Debbie Reynolds, and her daughter, Billie Lourd, did not immediately return calls from the AP. Los Angeles Fire Department spokesman Erik Scott said paramedics administered advanced life-saving care to a patient at Los Angeles International Airport on Friday and transported the person to a nearby hospital. He did not identify the patient. A large gathering of reporters was camped outside Ronald Reagan UCLA Medical Center in Los Angeles hospital, where TMZ and the Los Angeles Times reported she had been taken. Fisher is considered by many to be a member of Hollywood royalty — her parents are Reynolds and the late singer Eddie Fisher. Catapulted to stardom when the original "Star Wars" was released in 1977, Fisher reprised the role as the leader of a galactic rebellion in three sequels, including last year's "Star Wars: The Force Awakens." The author and actress may be best known for her portrayal of Leia, but she is also an accomplished writer known for no-holds-barred accounts of her struggles with addiction and mental illness. Her thinly veiled autobiography "Postcards from the Edge" was adapted into a 1990 film version starring Shirley MacLaine and Meryl Streep. She also transformed her one-woman show "Wishful Drinking," which played on Broadway and was filmed for HBO, into a book. Most recently, Fisher has been promoting her latest book, "The Princess Diarist," in which she reveals that she and co-star Harrison Ford had an affair on the set of "Star Wars." Carrie Fisher, who played Princess Leia Organa in the "Star Wars" franchise, has died after suffering a heart attack last week, a spokesman announced Tuesday. She was 60. Fisher's daughter Billie Lourd confirmed the death in a statement released by spokesman Simon Halls. "It is with a very deep sadness that Billie Lourd confirms that her beloved mother Carrie Fisher passed away at 8:55 this morning," according to the statement. "She was loved by the world and she will be missed profoundly. Our entire family thanks you for your thoughts and prayers." Fisher had a heart attack while flying to Los Angeles from London last Friday, and had been rushed off her plane to a nearby hospital, according to People. Her brother told the Associated Press later that day that she was "out of emergency" and in stable condition but could not provide more information about her health. Fisher, born in California in 1956, made an early debut in movies. She first appeared in the 1975 film "Shampoo," alongside stalwarts like Warren Beatty. But it was her iconic role as Alderaan princess Leia Organa just two years later that catapulted her to commercial success and linked her name with the space-traveling heroine she would reprise in three more movies, as recently as last year in "Star Wars: The Force Awakens." Fisher also published a memoir earlier this year disclosing that she had an affair with co-star Harrison Ford, 14 years her senior, during the filming of the first film. 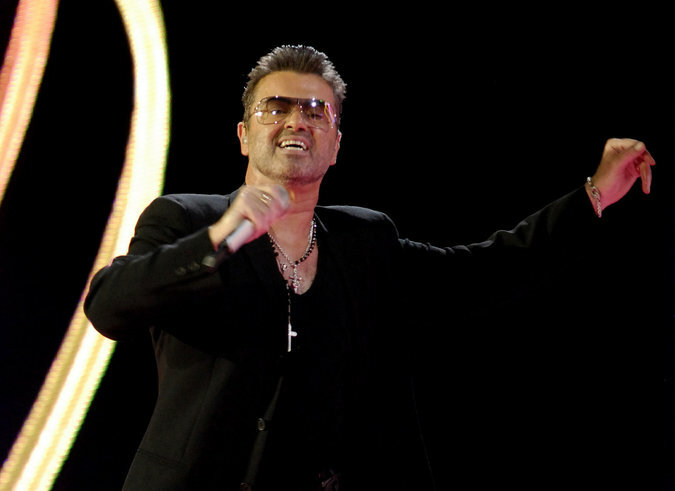 George Michael, the creamy-voiced English songwriter who sold tens of millions of albums as a member of the duo Wham! and on his own, was found dead on Sunday at his home in Goring in Oxfordshire, England. He was 53.